I did get a lot watched on Monday at Il Cinema Ritrovato. 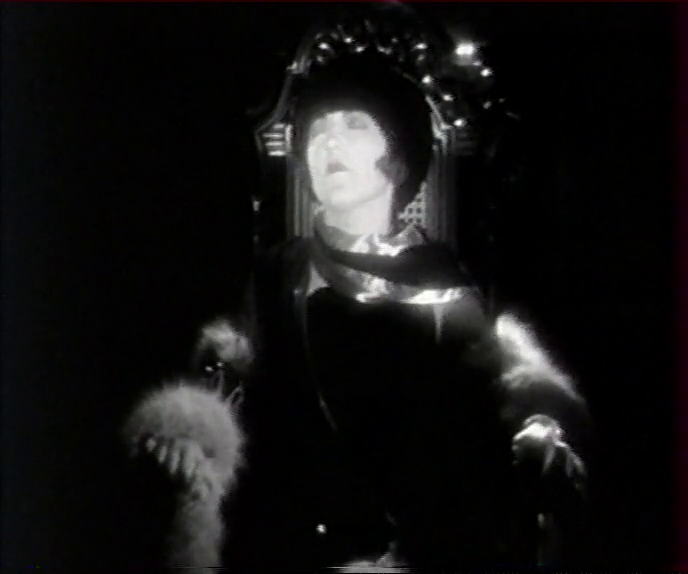 On Sunday there had been a discussion about whether to try the 1917 CALIGULA, since it partially overlapped a later screening I wanted to see, and a friend who shall remain nameless suggested just watching a bit. “You don’t need to see how it turns out,” he suggested. To another friend who had an overlap at the opposite end, he suggested, “You don’t need to see the beginning. What are you going to miss? The horse? You won’t miss the horse.” “Are you suggesting,” I asked, “that we treat CALIGULA like an installation?” But that is sort of what Monday felt like. The day began with two by William K. Howard and one by Tod Browning, at the Cinema Jolly, which meant I could just take my seat and soak up three pre-code super-productions in as many hours. THE TRIAL OF VIVIENNE WARE was zippy (Lilian Bond, in her plummiest accent: “I’m going to show him how a warm momma gets hot!” Zasu Pitts: “I like horses, in a nice way of course.”), with rapid-fire patter and frequent whip pans, used to transport us across town, across a room, of back into flashback and out again. TRANSATLANTIC combined swank melodrama and crime with spectacular sets and camera moves. OUTSIDE THE LAW, the second film Tod Browning made under that title, had a strong story but, being a 1930 Browning, lacked pace. “Tod the Plod,” Andrew Moor Charlie Cockey called him. But it did have the bottomless man illusion, and a guest freak in the form of John George from TRAIL OF THE OCTOPUS, in the role of Humpy the hunchback. I’m a John George completist so this made me happy. This is likely also the first film in which Edward G. Robinson says “See?” a lot, as a threat. Then I went to THE TECHNICAL REFERENCE COLLECTION SHOW after lunch — we saw Technicolor reels from BREAKFAST AT TIFFANY’S, THE JUNGLE BOOK, ROSEMARY’S BABY, THE GOOD THE BAD AND THE UGLY… quite a range. HERCULES AND THE SLAVE GIRLS featured the line “This day is dedicated to Uranus.” Reg Park didn’t look as pleased as you might hope. Each reel ended JUST as we were getting snared by the narrative, so it was a frustrating as well as beautiful experience. But these extracts set me off on a regrettable pattern of incompletion. I went to a programme of Russian fragments and saw the surviving reel of KULISY EKRANI (BEHIND THE SCREEN) from 1917, which stars Ivan Mosjoukine, Russia’s top film star, in the challenging role of Ivan Mosjoukine, Russia’s top film star. But the fictional version has lost an arm. It was good to see a younger Ivan, though he looked older than in KEAN. Other than that, I couldn’t tell much. — and into KEAN, where I wanted to see the new restorations tinting and toning, which was indeed lovely. But three hours of Mosjoukine seemed rather ambitious after five and a half hours in the dark, so I slipped silently off to TWO MONKS, the biggest challenge to wakefulness yet. This early thirties Mexican melodrama has stunning sets, interesting camera moves and cutting, beautiful lighting and some Gothic horror hallucinations which are very striking, but it’s also slow to develop and tells a slightly dull story TWICE. So I did nod off a bit and found myself dreaming more exciting plot developments, which sadly were knocked out of my head by the real story when I awoke. Then I dined with Neil McGlone and his lovely wife Justine, and hit the Piazza Maggiore, which proved to be ram-packed — no seats, so I sat on the warm stone and saw the prelude to Gance’s LA ROUE with Arthur Honegger’s newly discovered orchestral score played live for the first time in, what, ninety years? That was something. But it was another fragment. And I was too tired to watch more than ten mins of BATTLESHIP POTEMKIN afterwards. A day in pieces. Leaving me feeling the same way, but happy. I’m delighted to present The Late Show’s first guest blogger this year — my wife, Fiona Watson. Did someone say Jonathan Creek? No they didn’t. They said, Miracles For Sale (1939, MGM), Tod Browning’s last feature, a zippy little number that bears more than a passing resemblance to the BBC TV series. A magician gets involved with crime. Who wants to watch something like that? Now don’t tell me. Even though my eyes are covered by a silk scarf, the ether is buzzing with telepathic impressions. Give me a moment… EVERYONE is the answer! Thank you ladies and gentlemen. (They do watch, every year, for the past twenty years.) It’s got magic and crime. Two great tastes that taste great together. And the similarity doesn’t end there, Morgan is a magician who designs tricks for other magicians, just like Creek. He also has a sidekick just like Creek, but in Morgan’s case it isn’t a series of ladies ending in a wife, it’s his endearingly, curmudgeonly dad (Frank Craven) who’s just dropped into the big city to visit his thaumaturgically dexterous son. A bit like The Rockford Files, if The Rockford Files had more seances, card tricks and mind reading. Dad Morgan doesn’t like New York at all, (“New York is the only town I’ve ever been in that you could learn to hate in a day”) but is prepared to put up with it to have family time with the smoooooth Robert Young. Where Alan Davies brings an insouciant, quirky charm to Creek — sort of lumpy if we’re getting synesthetic –MGM leading man Robert Young is as glossy as a pane of glass wiped down with vinegar. It’s not that he’s featureless, he just plays it so fast and with such ease that he whizzes past without scratching the retinas. I almost thought that this film, and his character, could easily have been strung out into a Thin Man type series, and perhaps that was the original intent, but I’d have re-cast it with someone you could get a good hold of with your eyeballs. Joining the merry band is the ever-reliable William Demarest as a confused cop (Quinn) – “Not even a half-grown microbe could’ve got out of this joint without using a crow bar and a grand jury.” Florence Rice is our imperiled (and bizarrely costumed by Dolly Tree) heroine (Judy Barclay). Florence would immediately have an encounter after this with the Marx Brothers in At The Circus, making her career at this point very Browning-like, with his connections to travelling circuses and freak shows. And finally and wonderfully, an uncredited performance by E. Alyn Warren as Dr Hendricks, a comedy coroner. “Maybe you can examine a corpse in the dark but I’m no bat.” Also uncredited in the stock music department, Franz (Bride Of Frankenstein) Waxman. The screenplay is by Harry Ruskin, James Edward Grant and Marion Parsonnet, writer of Gilda and Cover Girl and in a strange coincidence, screenwriter in 1937 of a remake of Browning’s first sound film, 1929’s The Thirteenth Chair, another heavily seance-related tale. Miracles For Sale is based on the “Great Merlini” novel Death From a Top Hat by Clayton Rawson. There were four Merlini books in total. In a poll conducted by 17 mystery and crime writers, Death From a Top Hat was voted as the seventh best locked room mystery of all time. Brilliant prologue. We think we’re watching a very bad B War Movie, but things start to quickly fragment when we see the awful, oriental makeup on the soldiers and a woman gets machine-gunned in half in a box. “Stop the war!” barks someone off-screen at the end of the performance, and the distant shelling is switched off. We’re introduced to the world of Merlini, here renamed Michael Morgan. It’s the cut-throat world of the professional stage trickster. But before you can say “Hey Presto!” or even “Robert Houdin!” we have damsel in distress Judy Barclay charging through the front door, begging him to stop a fake medium taking part in an experiment for a cash prize if she’s authentic. And only a magician whose sideline is debunking fake mediums will do. In this regard he’s very Houdiniesque. In fact Morgan even mentions a case in which a father was being put in touch with the son he lost during World War 1. Arthur Conan Doyle, much? Judy seems disinclined to give up the whys and wherefores, but she’s so cute and her sleeves, like voluminous bellows on a concertina, are so impressive, that he just can’t help being sucked in (probably osmosis created by the shoulder bellows). Later, she’ll show up with sleeves like giant, bacofoil croissants and Morgan becomes even more besotted. Or possibly hungry. Before we know where we are, and in amidst a welter of card tricks, mind reading, attempts on Judy’s life because she may have inside knowledge, and spooky chicanery, there’s a dead man, master of legerdemain Tauro (Harold Minjir) then another dead man, occultist Dr. Cesare Sabbatt (Cesare was of course The Somnambulist played by Conrad Veidt who slept in a coffin in The Cabinet Of Dr Caligari (1920) and in his early, pre-director years, Browning performed a live burial act in which he was billed as ‘The Living Hypnotic Corpse’). 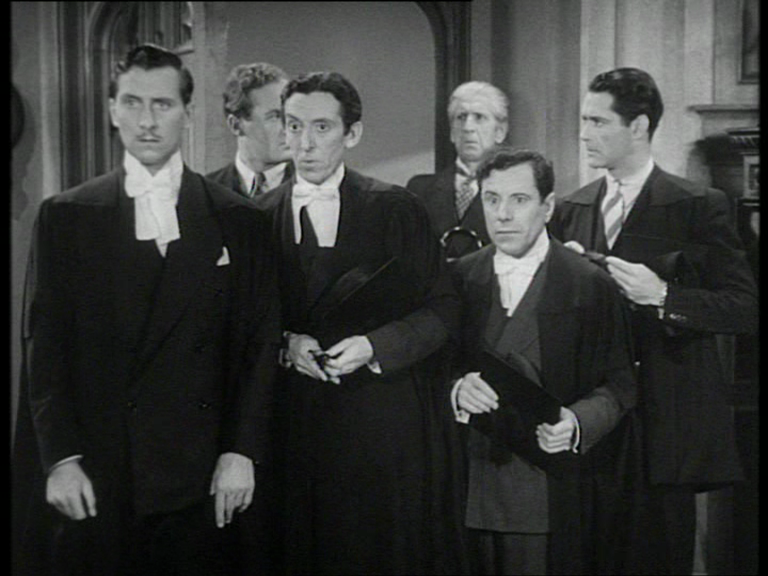 Dr Sabbatt is played by a man called Frederick Worlock, if you can believe that on top of everything else! Both corpses are laid out in esoteric circles lined by candles in locked rooms. Not only that but Sabbatt is a post-mortem ventriloquist. Apparently. Who the dickens is the murderer or murderers? How did they get in and out? And what is their motive? There are plenty of suspects to choose from, all of them involved in the murky world of Magic and Magick. Yes, this is an effect shot. Or to be precise, a series of effects shots. But we can’t expect Robert Young to do real, close-up magic. He’s an actor, not a prestidigitator. I see where Froggy is coming from, but I wasn’t offended by this, and indeed, its sloppiness (although David found it charming) may be one of the few signs that Browning is thoroughly fed up with the whole venture. Anyhoo, back to the plot. As Dad Morgan says, “I was a little confused before but now I’m just bewildered.” You see Morgan, although he enthusiastically unveils fake mediums who make money from other people’s grief, hasn’t entirely given up belief in the supernatural. (Unlike Houdini, who one school of thought says was murdered by angry Spiritualists.) There’s still a tiny spark of belief in him, which is kind of fascinating and suggests he’s come up against forces he hasn’t been able to explain away with the pure logic he excels in. Addendum – Morgan’s tiny spark of belief is more to do with the studio system than anything else. I’m reliably informed (by David) that it would have been quite impossible at the time to have an atheist hero. I’d cross the street to see this one, not just because it’s the swan song by a unique Hollywood figure whose name still lives on with genre fans all over the world, but because it’s a slick, fun entertainment. There’s no sign of the real disillusionment Browning must have been feeling, and that’s something miraculous in itself. The ending presents us with a mystery. Someone rings the doorbell at Miracles For Sale, setting off a chain of silly, magical events in which Dad Morgan will get trapped in a trick, but we never get to see who the visitor is and they seem to have gone away by the time Morgan, his dad and Judy show up. Could the doorbell have been pressed by The Grim Reaper, (Time Person Of The Year 2016, NOT Donald Trump as has just been announced, although the difference may be academic) sounding the death knell for Browning’s career? We will never know. The 2016 Jonathan Creek Christmas Special is on BBC1 at 9pm on Wednesday 28th December, but try to give yourselves a glimpse of the original. Unfortunately this little gem doesn’t seem to be available anywhere commercially. Maybe you could do that hoodoo that you do so well, and it will appear mysteriously in a locked room. To play us out, here is the late, great David Bowie’s homage to Browning and Chaney in Diamond Dogs. With your silicone hump and your ten-inch stump. Dressed like a priest you was. Tod Browning’s freak you was. 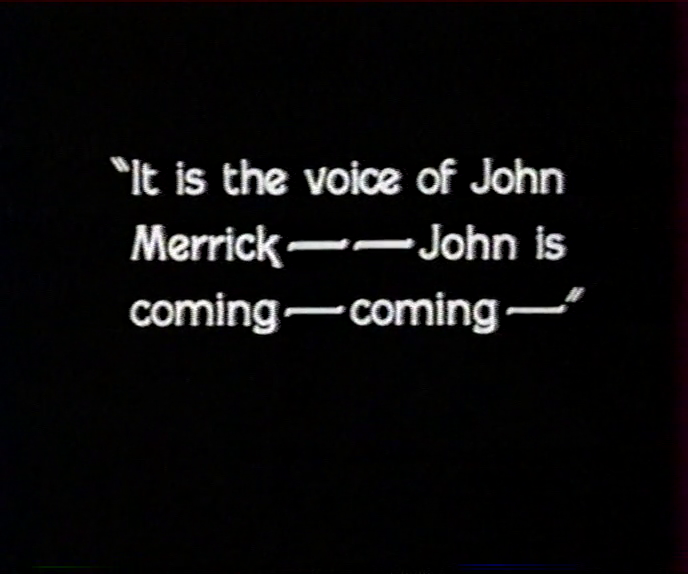 A surprisingly familiar character name appears in THE MYSTIC (1925) — at first I assumed it to be a coincidence, but since the director and co-writer is Tod Browning, future director of FREAKS and former circus somnambulist, it’s by no means unlikely that he was familiar with the case of John Merrick (in reality, Joseph), AKA The Elephant Man. Star Aileen Pringle was one of those on the yacht when Thomas Ince got shot, or did not get shot. Hearst doesn’t seem to have done her career iany particular favours. Edinburgh man David Torrence, brother of the more famous Ernest, brings his massive face to bear on the role of one of the supposed good guys, but respectable people in this movie can be as crooked as the gypsy confidence gang. Browning’s true sympathies are with the outsider-upstarts, which makes him an odd fit for MGM. His larcenous, grubby and nasty worldview might have been a better fit at Warners, and seems inimical to the oft-stated (family) values of Mayer’s empire, but it must be admitted that he succeeded anyway, bending the studio product all out of shape and taking the company to dark places it otherwise would have shunned. A bit like Tony Blair at Labour.